Great recipes for feasting and having fun. Autumn is well and truly here. Golden and red leaves, flutter like confetti to the ground. The perfect time of year for walks in the park or woods. Also, it is the season for fungi and mushrooms. If you go foraging, whilst out on a walk, make sure you have a guide, or book, to ensure you only pick what is edible. 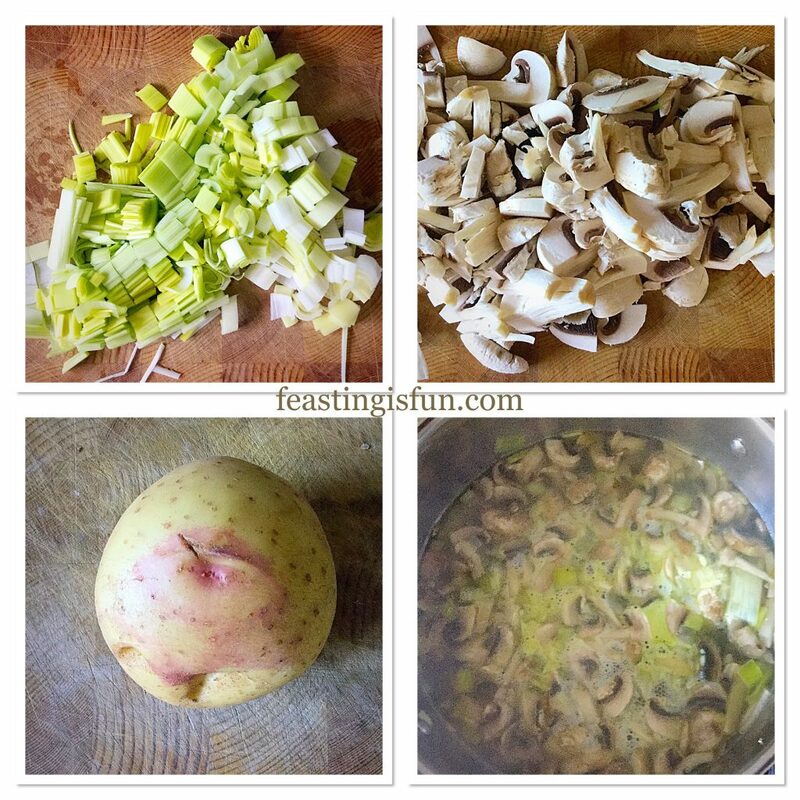 The mushrooms for this Creamy Low Fat Mushroom Soup came from the supermarket where they are available all year round. Being able to buy mushrooms all year round means that this soup can also be made whenever you want. Since this soup is incredibly easy to make and completely delicious, you may find yourself making it year round! 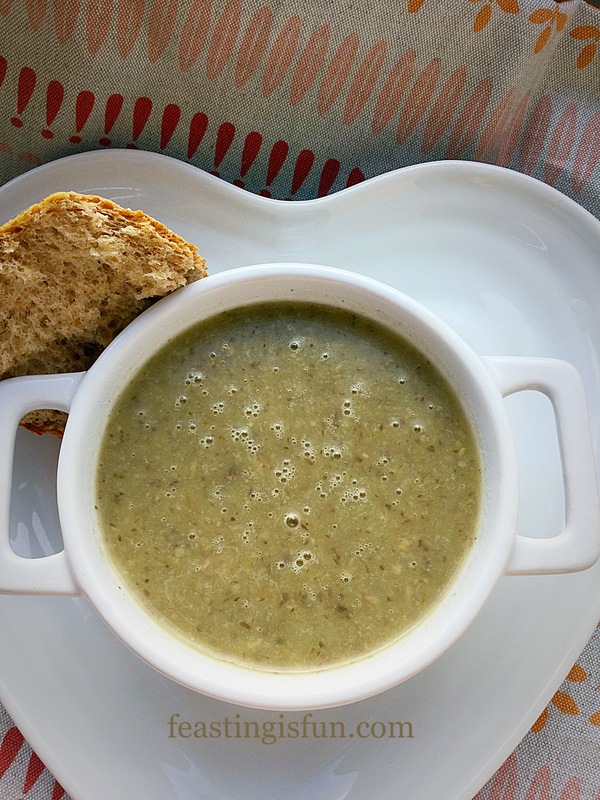 Creamy Low Fat Mushroom Soup perfect with rustic wholemeal bread. While I used white, button mushrooms for this recipe, chestnut, or portobello would also taste delicious. Sautéing the mushrooms slowly, ensures that they release their deep, earthy flavour. As a result, the finished soup has a rich mushroom flavour, that is not heavy. Sneaking in a potato not only thickens the soup, it also gives it beautiful creamy texture too. Ok so I added a swirl of cream, just to see what it would add to this soup. While it does add an extra luxurious note, perfect for special occasions, or dinner parties, the soup doesn’t need it. 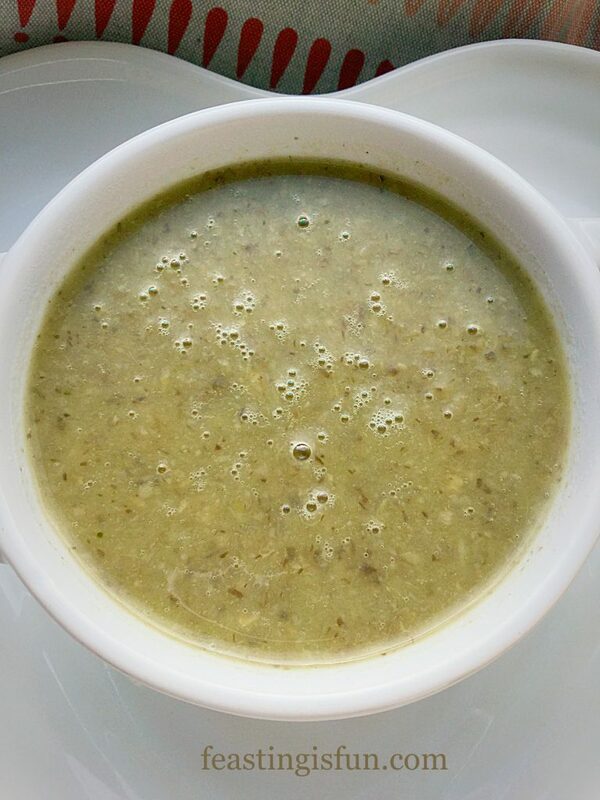 For example in my Leek and Potato Soup the cream really rounds out the flavour and texture. Whereas here, with the mushroom soup, the creaminess is already present. 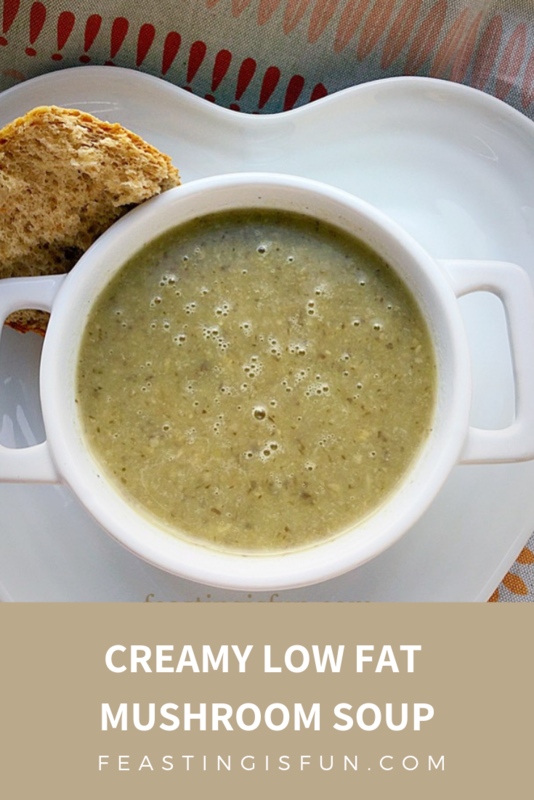 Creamy Low Fat Mushroom Soup so full of healthy flavour. Full of flavour and texture, an immersion blender is used to ‘cream’ this soup. Rather than whizzing the soup to a completely smooth consistency, very small chunks are left in to give a better, more interesting texture. However, you may purée the soup to whatever consistency you desire. First, place a heavy bottomed soup pan on to the hob, over a medium heat. Now add the butter. While the butter is melting chop the leek into a medium dice – approximately 1cm pieces. Once the butter has melted add the chopped leek to the pan and sauté for 3-4 minutes until they become soft. Meanwhile slice the mushrooms and then cut the slices in half. Next add the sliced mushrooms to the softened leeks. Lower the heat slightly and continue to cook the mushrooms and leeks for a further 10 minutes, until the mushrooms are soft. Peel and medium dice the potato, then add it to the saucepan. Now add 1 litre of very hot water, from the kettle and a stock cube. Stir, put on the lid and allow to simmer for 30 minutes. After simmering for 30 minutes, remove the saucepan from the heat. Make sure you are wearing an apron for the next step. I speak from soup splattered experience! 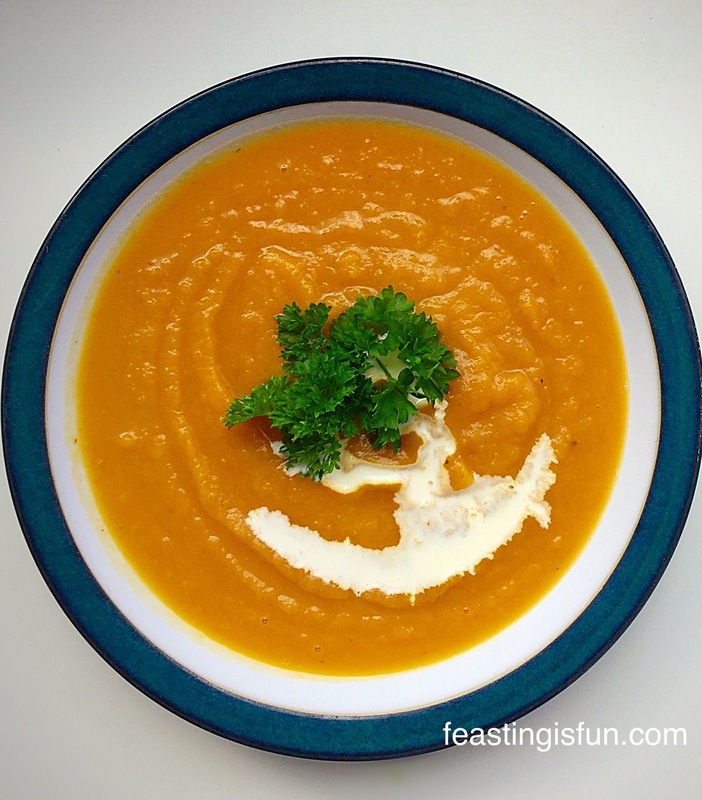 Use an immersion blender to blend the soup until it is almost smooth. One of the benefits of using this method to blend soup is, it allows you to feel, as well as see, how smooth the soup is. Also, if you do not have an immersion blender, a standard blender will still blend the soup well. Take care not to overfill the blender and allow the soup to cool slightly before using this method. Check the soup for seasoning and adjust as necessary. 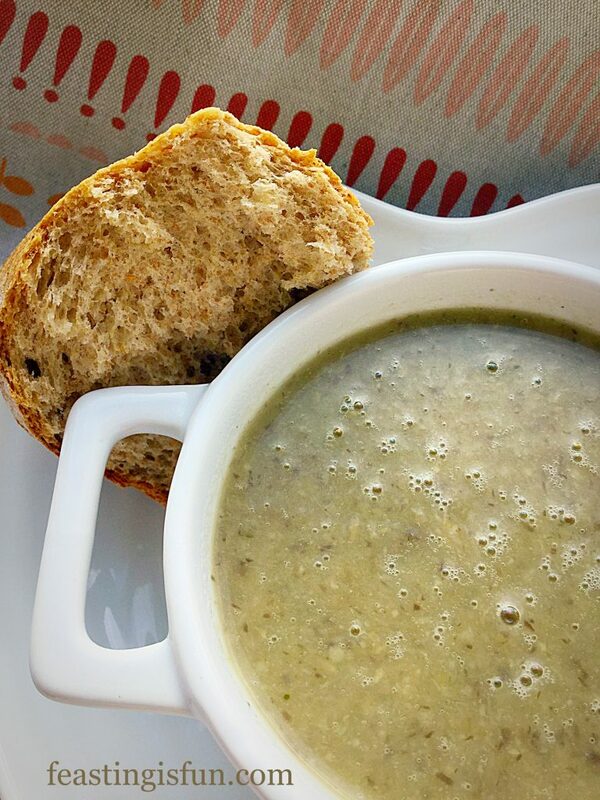 To serve, warm the soup and serve with thick chunks of rustic bread. 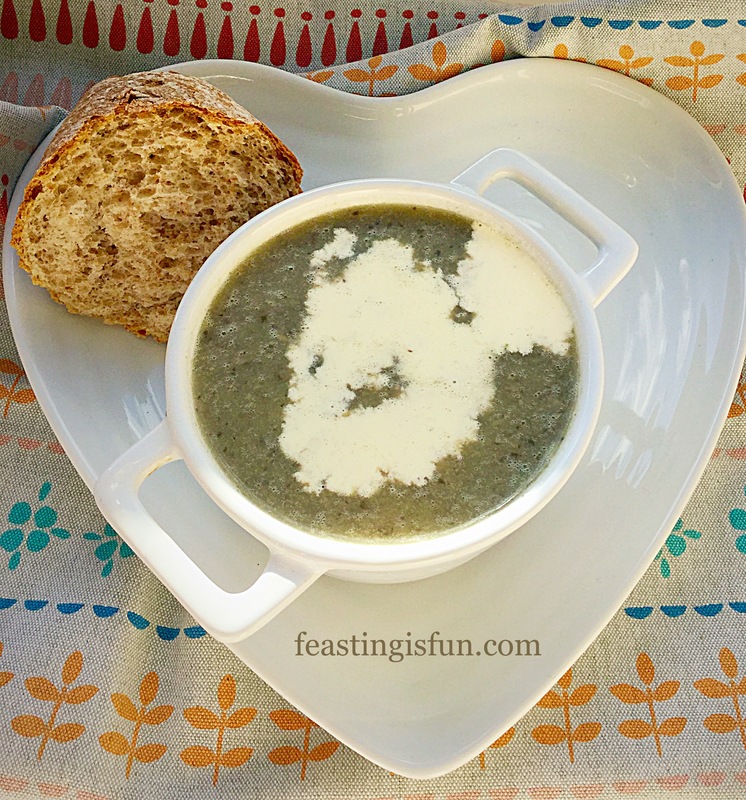 Creamy Low Fat Mushroom Soup a delicious way to warm up! 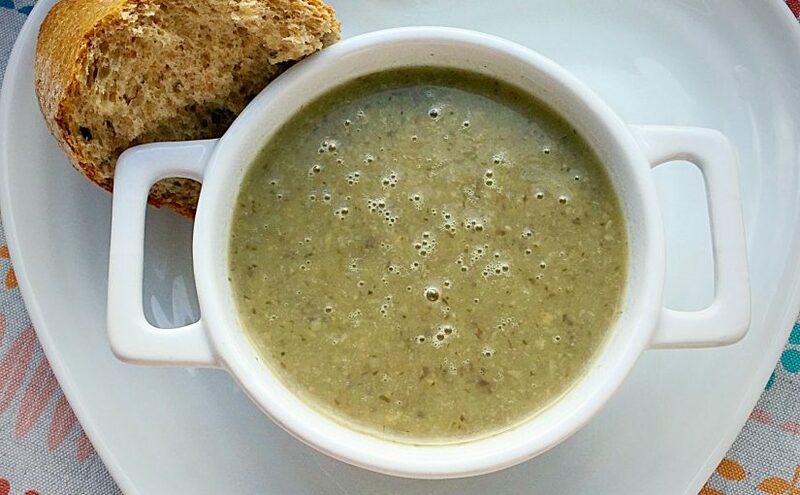 Each mouthful of this soup is a treat to your tastebuds. Perfectly balanced flavour that is nutritious and delicious. This soup will keep, cool and place into an airtight container, keep in the fridge for up to 4 days. Carrot Soup garnished with crumbled Stilton cheese. Roast Chicken Noodle Soup an economic meal. 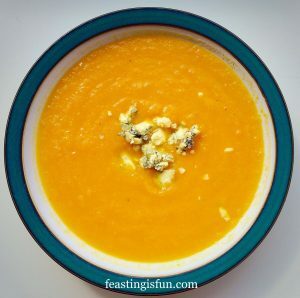 Roasted Garlic Butternut Squash Soup warm and comforting. Homemade soup is so easy to make. Also, the reward, far outweighs the minimum effort needed to prepare and cook the soup. Delicious, good for you and incredibly soothing on cough ravaged, sore throats, which seem in abundance at this time of year. While eating this soup, you can almost feel it doing you good. 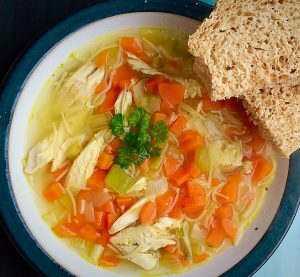 Do you have a favourite soup recipe? Please let me know as I love new ideas, old ideas, any ideas that taste great! Have fun, making, baking and creating, in your kitchens. What a delicious soup Sammie, mushroom soup is a favourite of mine. I love how you’ve added the potato for creaminess. Just made this for my dinner today and it’s so quick and easy to make and tasted great,there’s enough left to freeze too.